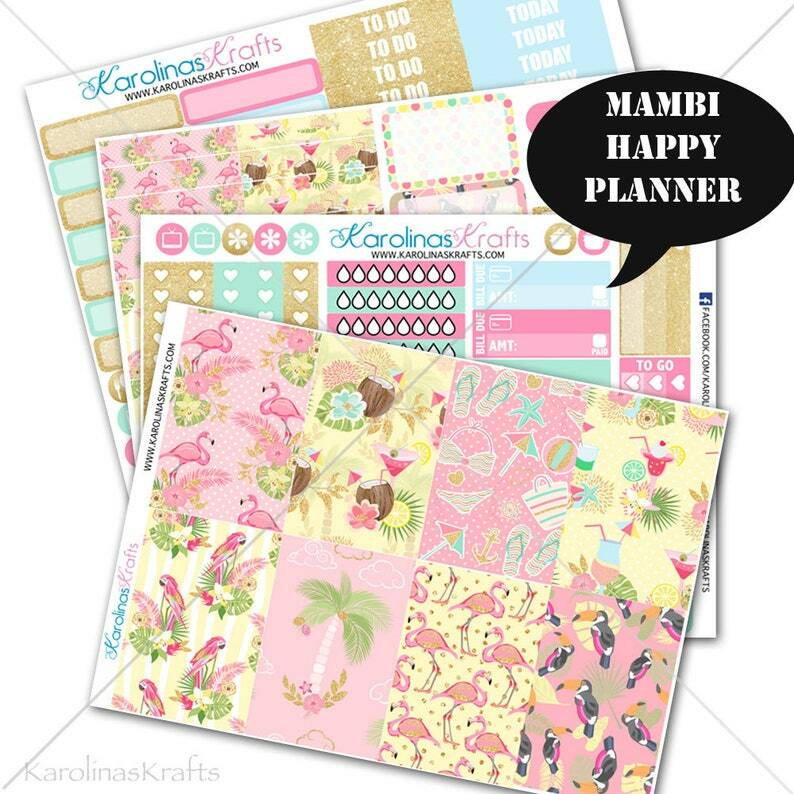 This listing is for a summer flamingo planner kit for the MAMBI Happy Planner. You will receive everything shown in the first 3 pictures of 200+ diecut stickers. You have the option to add on full box ombre checklists. These stickers come on a sheet, are easy to peel and ready to use. I am not taking custom orders for the planner kit, this will come as is. Very nice. Love the pattern and the colors.